The stars were out in Houston on November 10 at the 2012 Friends Gala. 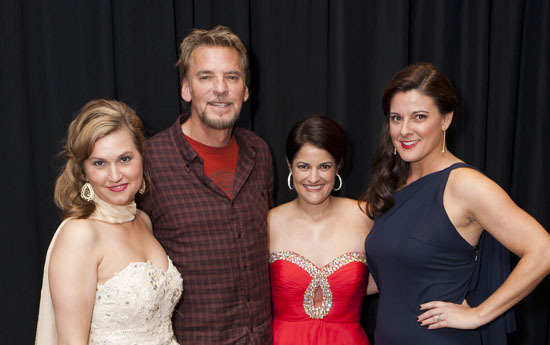 Chairs Gabrielle Patout and Lory Tauber provided all the glitz and glamour any red carpet could want, and Gala guests had a chance to get ”up close and personal” with legendary singer-songwriter Kenny Loggins. After months of plans and promotion, Gabrielle and Lory welcomed almost 600 friends to the glittering Westin Galleria Houston ballroom. The Friends of the Stehlin Foundation is an independent charitable organization whose annual galas have become “must attend” events on Houston’s charity scene. In a nod to Loggins’ hit movie theme songs, the 2012 Gala was a salute to Hollywood. The evening kicked off with fast and furious bidding on cool sports, entertainment, art, and travel items in both the silent and live auctions. Thanks to Auction Chairs Anna Williams-Parker and Danielle Durocher, guests competed for exciting and unique items and the bids were generous. Proceeds from the Gala and auction support the Foundation’s research on a deadly childhood sarcoma cancer – DSRCT – and a collaborative project with Baylor College of Medicine on prostate cancer. Guests were entertained during dinner by the delightful music of Encore Strings. The group added beauty and elegance to a memorable dinner prepared by the Westin Galleria chefs. Notably, the wines served during dinner were hand selected and generously donated by Olivia and Robert Pacini. 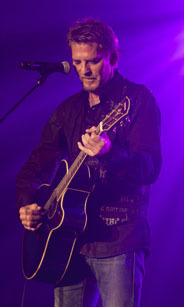 A live auction ramped up the evening’s excitement, but it was the arrival of Grammy Award-winning singer Kenny Loggins that sent the party into overdrive. Performing such sentimental favorites as Danny’s Song, House at Pooh Corner, Celebrate Me Home and rocking mega-hits What a Fool Believes and Danger Zone, Kenny certainly didn’t disappoint. And by the time the first familiar notes of the Footloose theme began, people were dancing in the aisles – because there wasn’t any room left on the dance floor. The ballroom didn’t cool down when Kenny left the stage. Skyrocket, Austin’s wickedly original party band, combined ’70 solid gold with classic rock, soul, and even disco to keep things heated up until the wee hours. Playing hits from Abba to Zeppelin, the band made certain guests went home hoarse, tired, and smiling. An event of the size and complexity of the Friends Gala takes the hard work of MANY dedicated volunteers. Special thanks to Nancy Ames, Danny Ward, and Nancy Riviere of Ward and Ames Special Events for their tireless efforts to plan, produce, and support the event. Elaine Turner Designs and Joystix Classic Games / Young Texans Against Cancer hosted pre-Gala events that helped generate excitement (and donations) for the cause. And the terrific students of The UT School of Nursing at Houston arrived early Saturday morning to help with Gala setup and decorations. Finally, the Friends and the Foundation sincerely thank all those who supported the 2012 Gala through their donations and table, ticket, and auction purchases. Since 1980, Gala patrons have contributed more than $11.5 million to the cancer research, treatment, and education programs of CHRISTUS Stehlin Foundation. The 2012 Gala added to the event’s well-deserved reputation as a fun evening for a great cause. Click to view 2012 Gala Photos! Republic National Distribution Foundation, Inc.
Carolene and Frank Patout, Sr.
Mr. and Mrs. David Rude, Jr.
You also may wish to visit the Friends Facebook page for additional photos and comments.